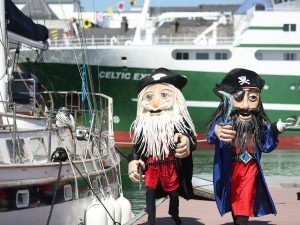 SeaFest and Cork Harbour Festival are coming together for Ireland’s biggest maritime celebration, which will take place in Cork this June. SeaFest will be a national free and family friendly maritime festival, set at the Port of Cork on 7 – 9 June 2019. This will be the culmination of a weeklong celebration of Ireland’s rich maritime heritage, as the annual Cork Harbour Festival runs from 1 – 9 June, with over 70 events for all to enjoy. The festival promises to be a fantastic celebration of all things maritime, with an amazing variety of family-focused events, exhibits, talks, demonstrations, and workshops. For fantastic rates over this time, and plan your summer family break with us, be sure to check out our family offers. For more details on the festival see seafest.ie and corkharbourfestival.com.